For tags that have to withstand demanding environments, self-laminating tags are a reliable solution. Two additional benefits of the lamination are the UV protection and that the information covered by the lamination becomes permanently encased. This allows the tags to be protected from the outdoor elements or chemicals, as well as eliminating the possibility of the information being altered. 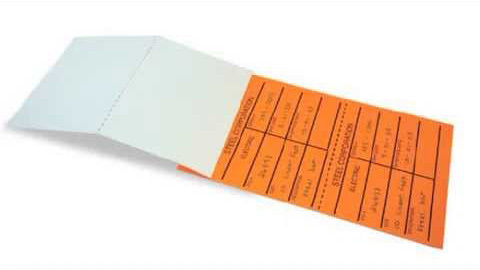 Two industries that have extensive use of self-laminating tags are chemical and steel manufacturers since they need to label loads and individual products that will sit outside for extended periods of time and have the potential for the information on the tags to otherwise be tampered with. A sample application of self-laminating tags is for utility meters. When they need to be installed, moved, or have a general reading performed, a tag can be used since it withstands the outdoor elements and the information about the actual reading becomes permanent and can't be altered once the self-lamination is placed over the face of the tag.